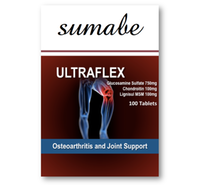 Sumabe® Ultraflex contains Glucosamine which is produced naturally in the body and is an important component of cartilage. It assists in building and maintaining healthy cartilage, which is essential for healthy function of the joints. 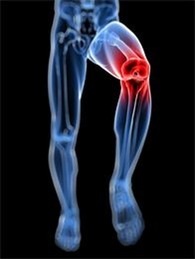 Glucosamine also has a role in the formation of tendons, ligaments, synovial fluid & bone. To maximise benefit, Lignisul MSM is included for its healing properties and advanced anti-inflammatory benefits. Sumabe® Ultraflex helps to maintain healthy joints and can assist in the symptomatic relief and management of osteoarthritis. It may provide temporary relief of pain, swelling, inflammation and lack of joint mobility associated with arthritis. Sumabe® Ultraflex helps in the maintenance or improvement of general well-being.